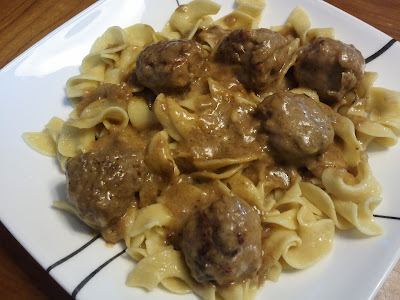 So, swedish meatballs = brown gravy and italian meatballs = red gravy? I'm not sure I'm brave enough to do the allspice. I guess that is a basic breakdown. The allspice makes the Swedish Meatballs very unique and I think you will like the taste. It gives them a more ethnic taste. You're an adventurer! Try it!